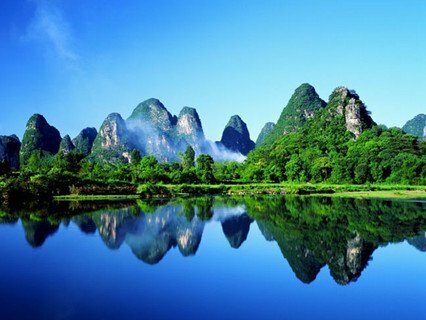 Upon Arrival at Guilin, you will be met and transferred to your hotel with private vehicle and guide.The rest of the day will be free at leisure. 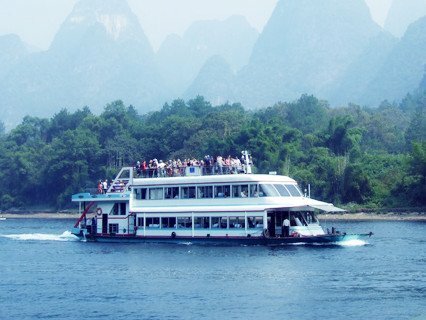 Full day Li River Cruise to Yangshuo with lunch aboard and return to Guilin late in the afternoon. 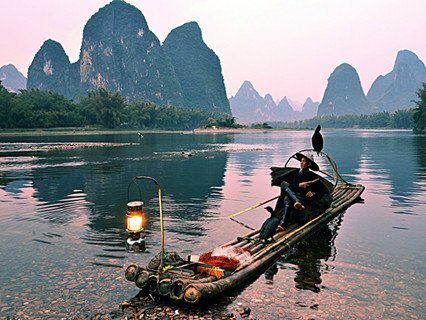 Li River Cruise: A cruise along the Li River between Guilin and Yangshuo is an unforgettable experience. As you take in the stunning scenery there's something interesting to see at almost every bend in the river. Between spectacular limestone peaks you'll see graceful bamboo groves, farmers tending rice paddies, and lumbering water buffaloes pulling carts or cooling off in the river. 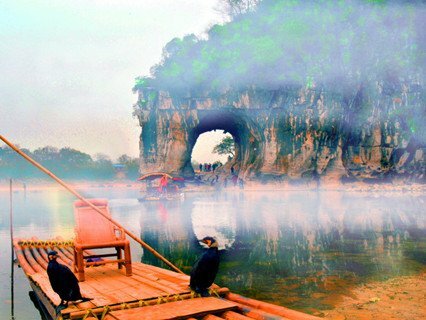 You may see fishermen gliding along on their narrow bamboo rafts, and if you're very lucky you might see one of the famous fishing cormorants. Boats depart from various wharves, according to the height of the river at different times of the year. Have a short exploration to the old town before to be transferred back to Guilin city. 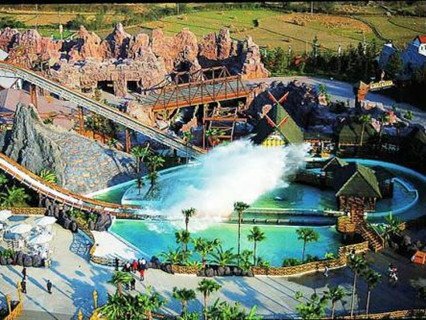 One day tour to the 2200-year-old Ling Canal and Merryland Theme Park. 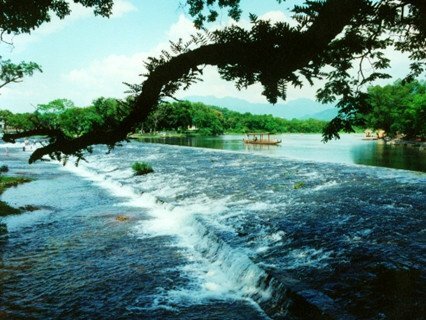 The Ling canal is in Xing'an county, about 70km north of Guilin. It was built from 219 to 214 BC, to transport supplies to the armies of the First Qin emperor, and is considered to be one of the three great feats of Chinese engineering. The 34km canal links Xiang River and Li River, connecting two of China's major waterways. Merryland theme park is the biggest investment of Merryland first project which covers 90 hectare. Back to Guilin after the tour. Tips: You can enjoy the boat way on the water street, and we didn't arrange this program in the package. You will be transferred back to Guilin in the morning. Then have private city tours to the Reed Flute Cave and the Elephant Trunk Hill. 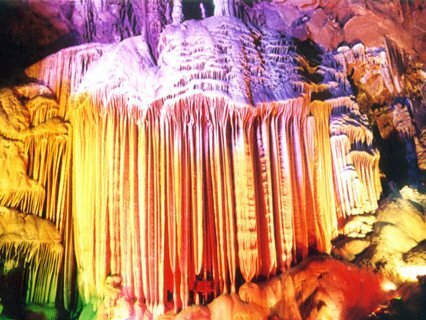 Reed Flute Cave is known as "the Palace of Natural Arts" and this large and well-presented cave system has some remarkable formations. Located at the conjunction of the Li River & the Peach Blossom River, Elephant Trunk Hill looks very much like a giant elephant with a long trunk. After the tour, you will be transferred to the airport for your flight to your next destination. 1. It will be two persons share one room. The third person will share the same room with the other two by an extra bed. If not, there will be single room supplement charged. 2. You can extend your stay in Guilin after this package finished, we will keep the discount hotel rate for you for the extended days. 3. We will change a similar hotel for you if the original one is unavailable. The above hotel is for Guilin downtown. For hotel in Xing'an, we will arrange you a similar one. Pick-up & drop-off service; Tips for the driver and tour guide. Note: Children who are taller than 1.1 meters need to pay as full rate. 1. You can book online or via email, telling us which hotel you would like to stay, your arrival flight info and your pax info, then will receive our confirmation email. 2. If your arrival flight changed but cannot inform us before arrival, please contact us as soon as you arrive in the fixed hotel at 010-82600428 or 010-56629550. 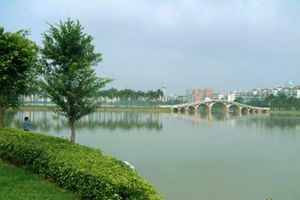 If travel to nanning, the itinarery is: Day 1 – Transportationto Nanning Today\'s Activities: Our guide will meet you at the airport or train station and deliver you to the hotel for a day of rest and relaxation after your long journey. 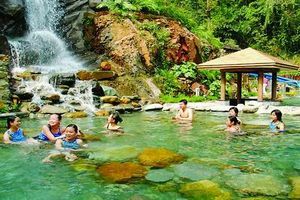 Meals: Lunch Accommodations:Nanning Hotel, 4* Day 2 – Nanning city more..
Can be customized to Hot Spring Bath Tour as following: Day 1. Guilin airport---Longji rice terraces---Longsheng Hot Spring Hotel. stay in Longshen Hotel Spring Hotel 4* Meet you at Guilin airport and transfer to Longsheng rice trraces. 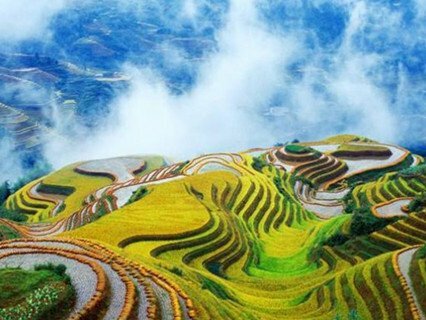 visit Longji rice terraces, You will find nice wooden houses, long hair more.. Reply : hello, what stars hotel would you like , normally , it is half western half chinese style. Enquiry : e would like to do Guilin places of interest for 5 days.Pick us from Guilin Train Station and last day back to Guilin Train Station.